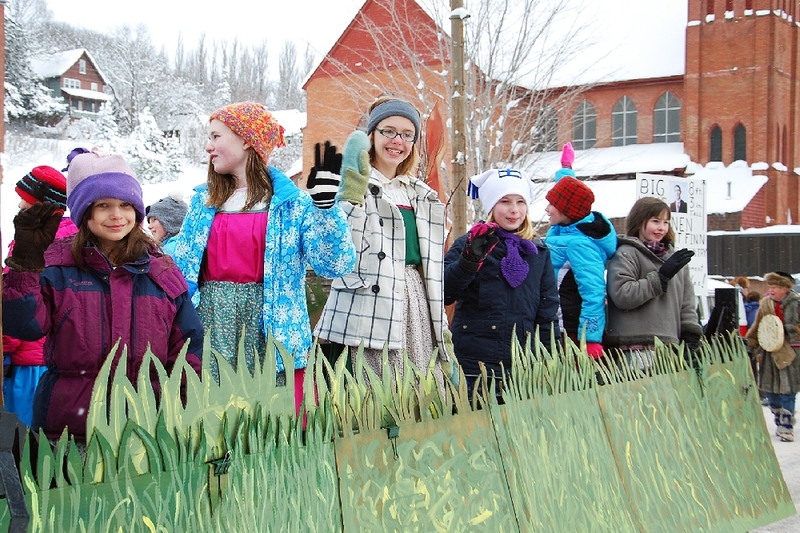 Sesquicentennial Year brought the 14th Annual Heikkinpaiva Celebration as its first regular major event of the year. Occasional light snow flurries, and a temperature of 18 degrees;, with about 5" of new snow overnight in what has been a very low snowfall year. 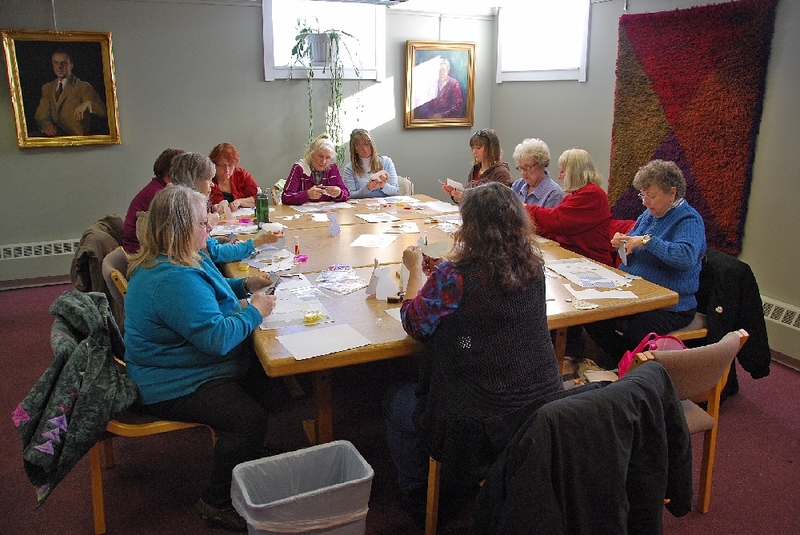 A Finnish card making class was held during the week at the Finnish/American Center on the Finlandia University campus. 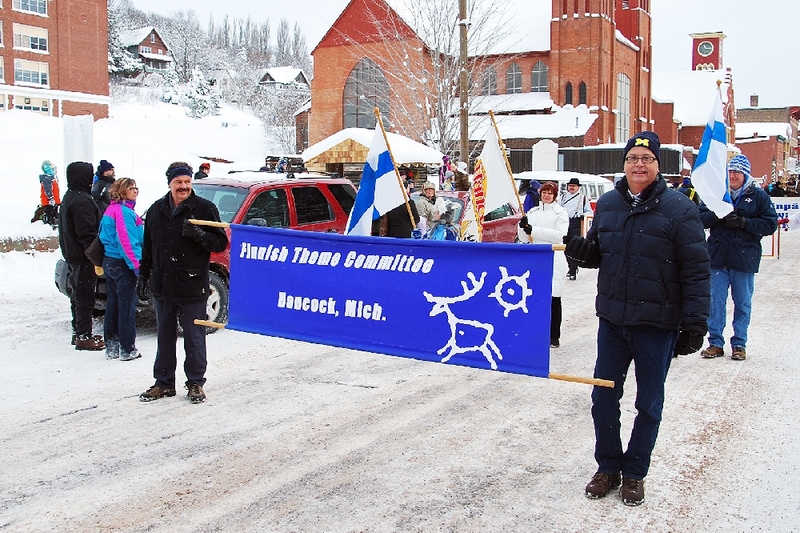 Selected this year to be the Hankooki Heikki, by the Finnish Theme Committee, was Professor Dan Maki, of Finlandia University. 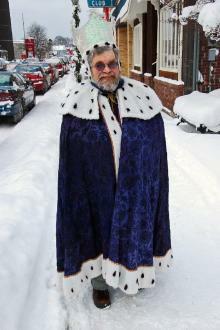 He will act as the Parade Grand Marshall. 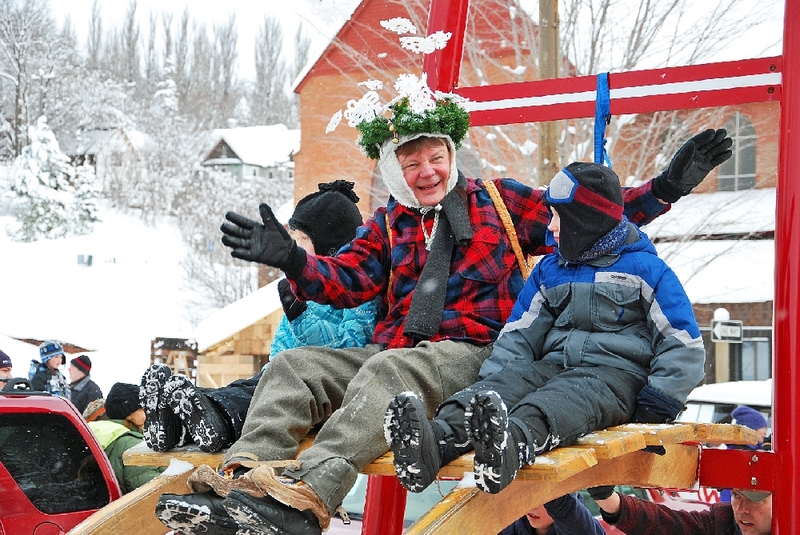 Started first in 1999, Heikinpaiva is translated as the middle of winter, “when the bear rolls over in his bed, and goes back to sleep for the rest of the winter”. 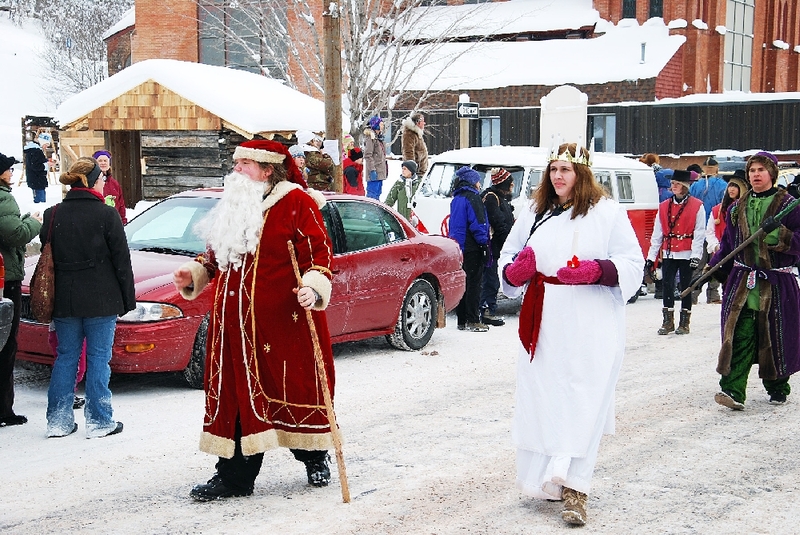 The Scandinavian ancestry of many of the Copper Country residents brings enjoyment of winter time and activities. 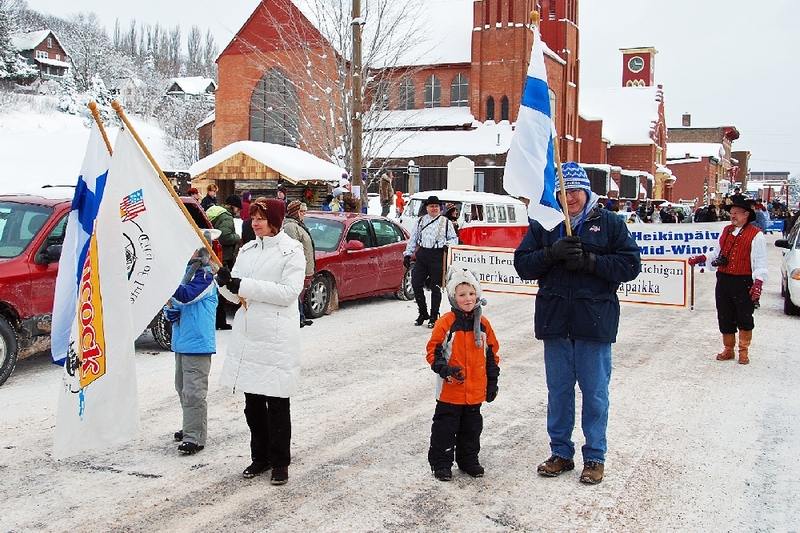 City Council members show he City Flag and Finnish colors. 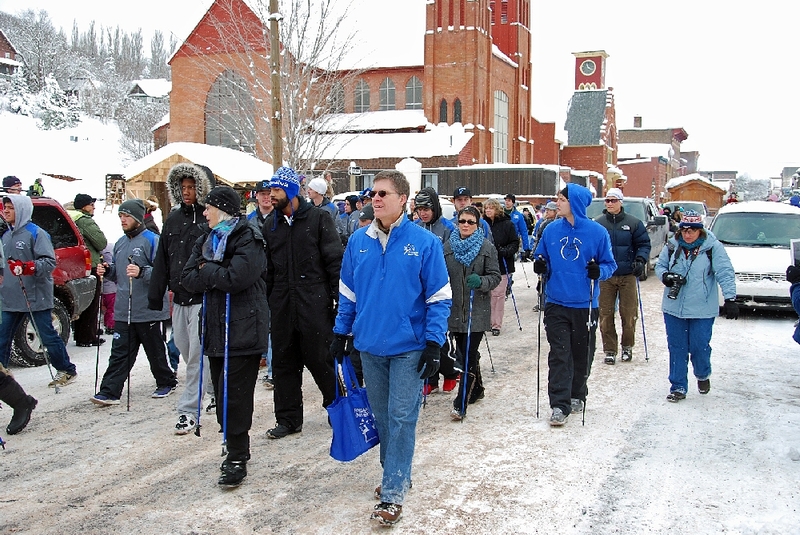 Finlandia University members and students, led by President Dr. Phillip Johnson. Juhannus-A Midsummer Eve’s Dream. 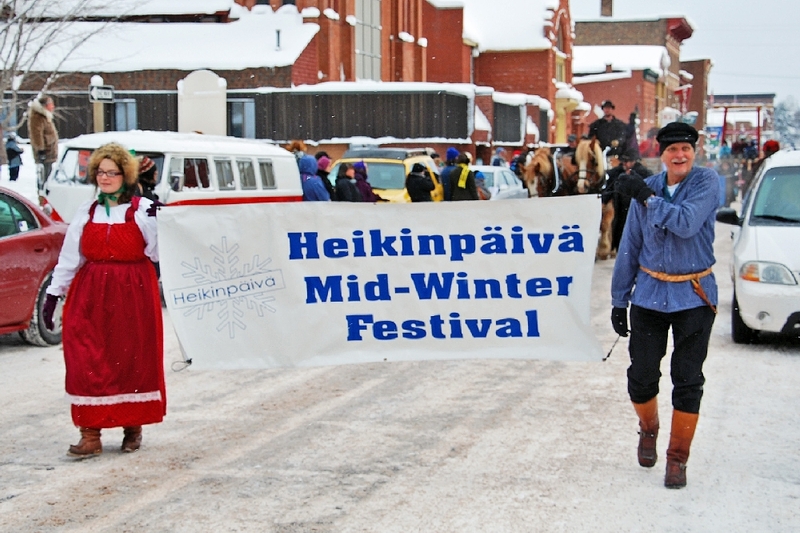 FinnFest 2013. 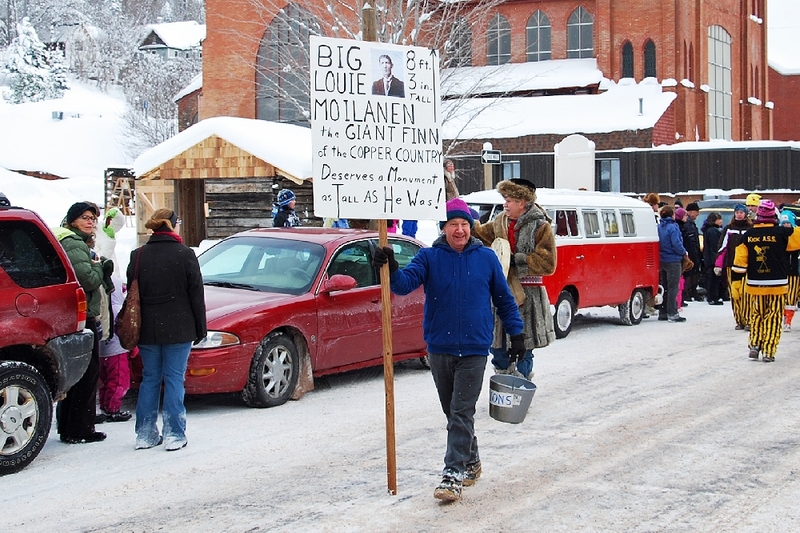 A local giant, Big Louie Moilinen, who stood 8'4", and weighed 540 lbs, would have been 100 years old this year if he were still alive. Efforts are under way to erect a marble statue in his remembrance on the grounds of the Finnish-American Center this summer. (See pictorial on this web page for further information). 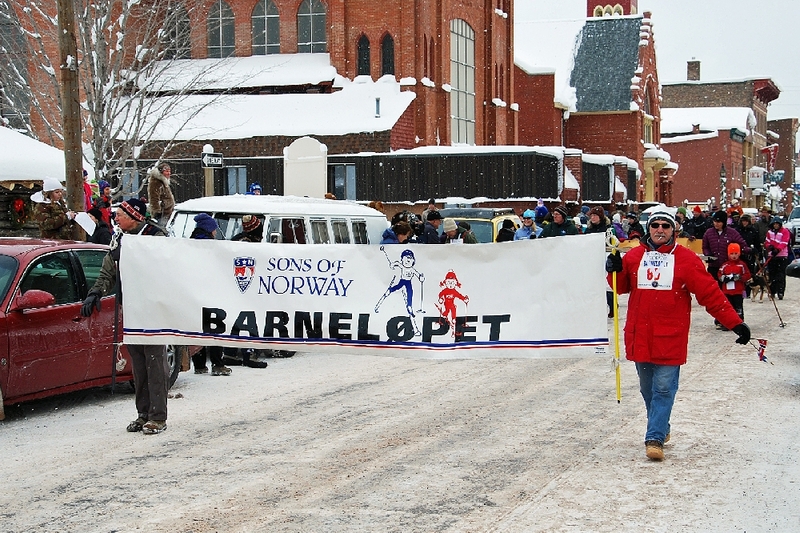 Barnelopet, a children’s ski race and outing, on the Hancock Maastto Hihtto Trails. Sponsored by the Sons of Norway, and held the first Sunday afternoon in February. 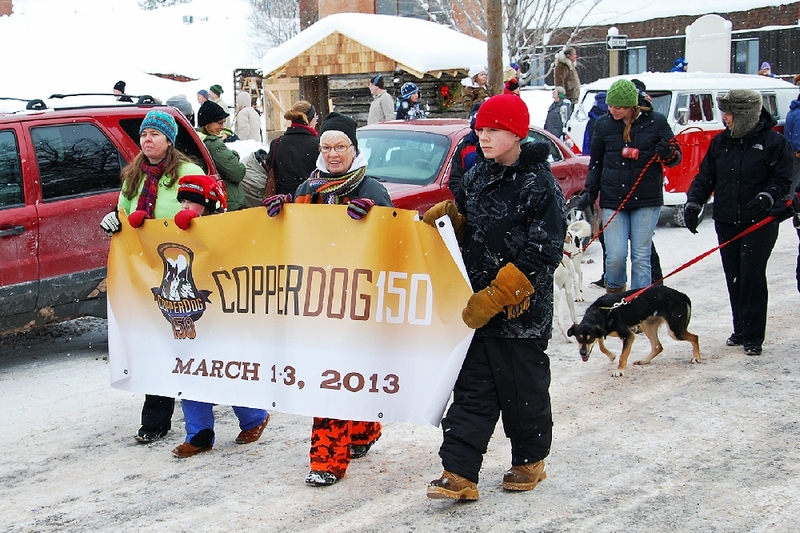 Copper Dog 150, a premier Dog Race, which runs from Calumet to Copper Harbor and back in March, rapidly becoming a top race in the USA circuit. 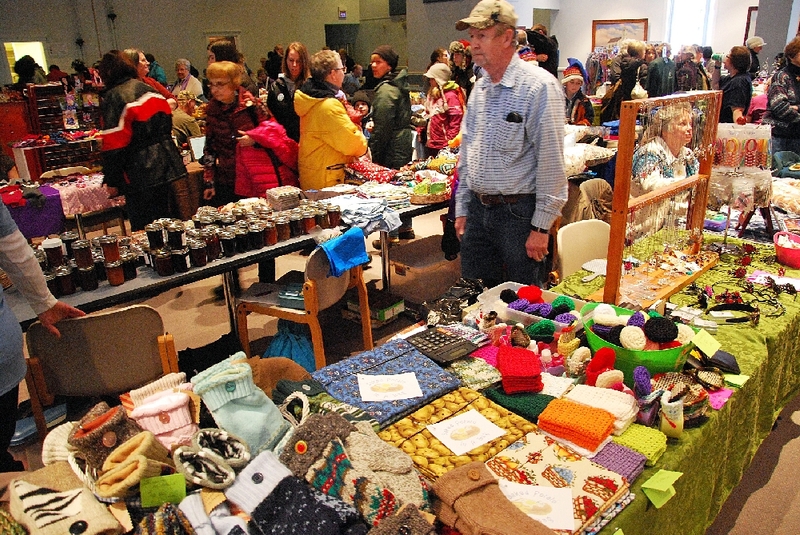 See the link at the beginning for more info. 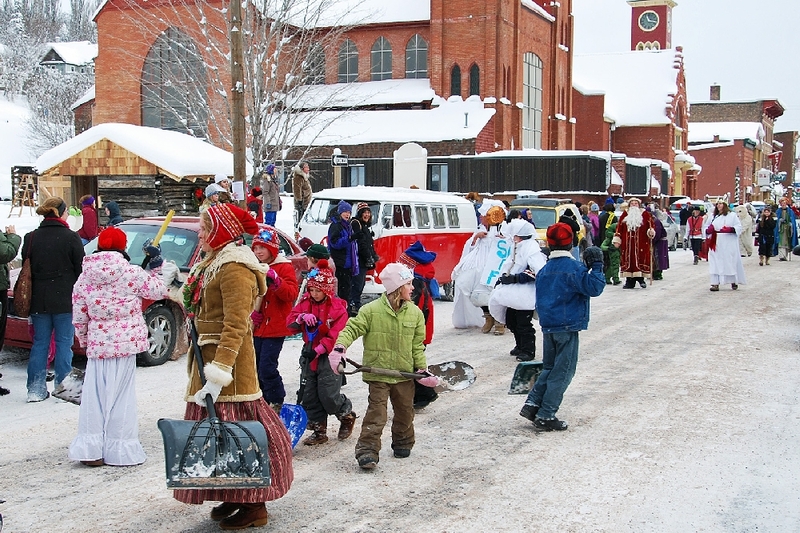 These children enjoy the festivities and the chance to ride a float in a parade. 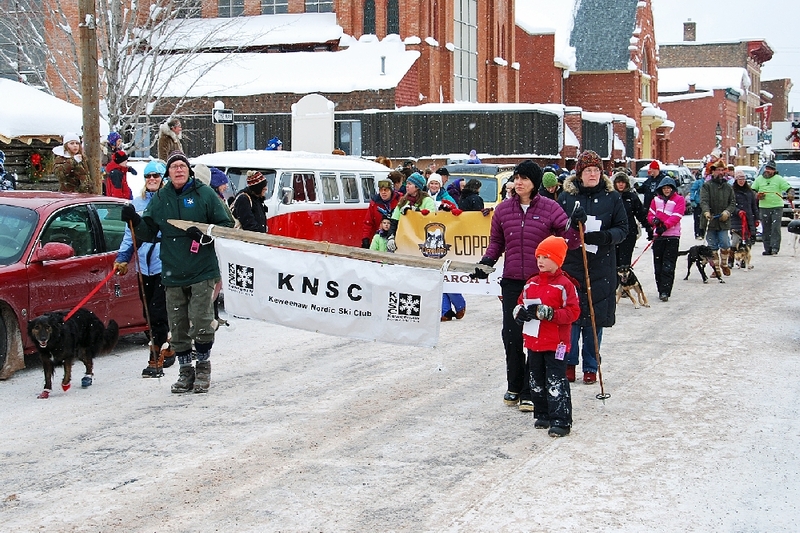 The Keweenaw Nordic Ski Club, who operate and maintain the Mastto Hihtto and Churning Rapids Ski Trails. A superb job. 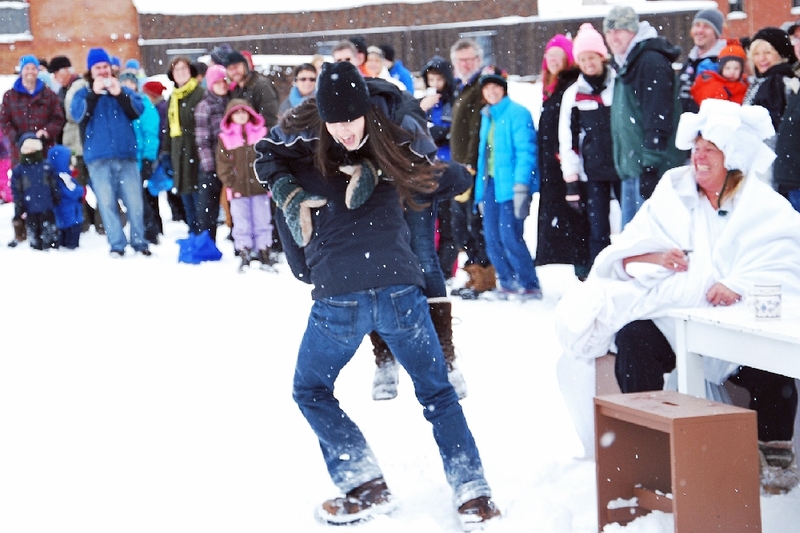 Following the Parade, activities moved to Finlandia’s Quincy Green, where among other activities, was the Wife Carry Races. This twosome was doing very well, on their way to the finish line after accomplishing several stops and activities. 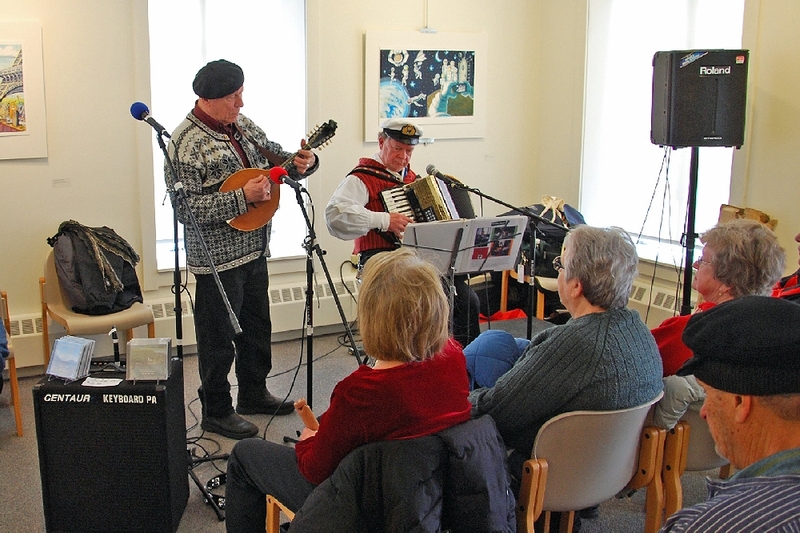 Musicians performed a several places following the Parade, here, at the Finnish-American Center. Tori-1, at the F/A Center. 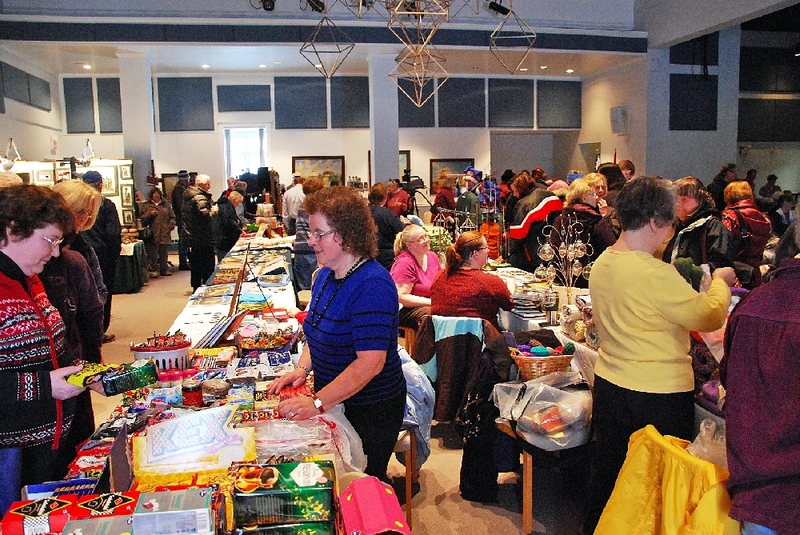 Many items of interest, for sale and display, including lunch items. 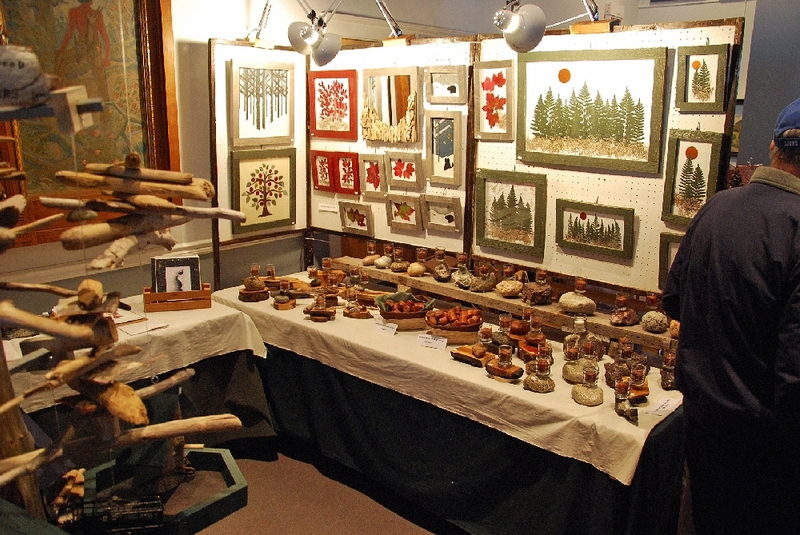 One of many beautiful displays. More of the Tori. 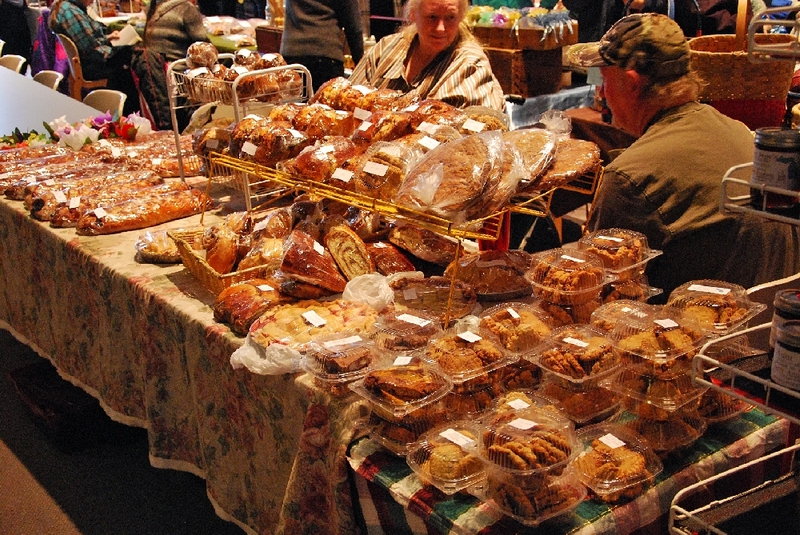 Delicious bakery items to tempt everyone. 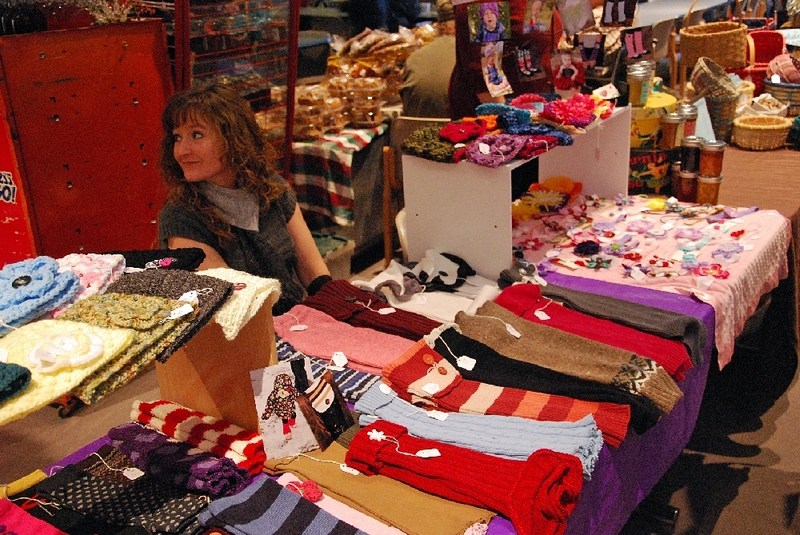 Many of the items being displayed were for sale. 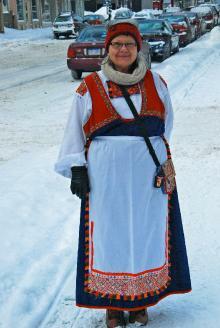 Another of the colorful costumes being worn. 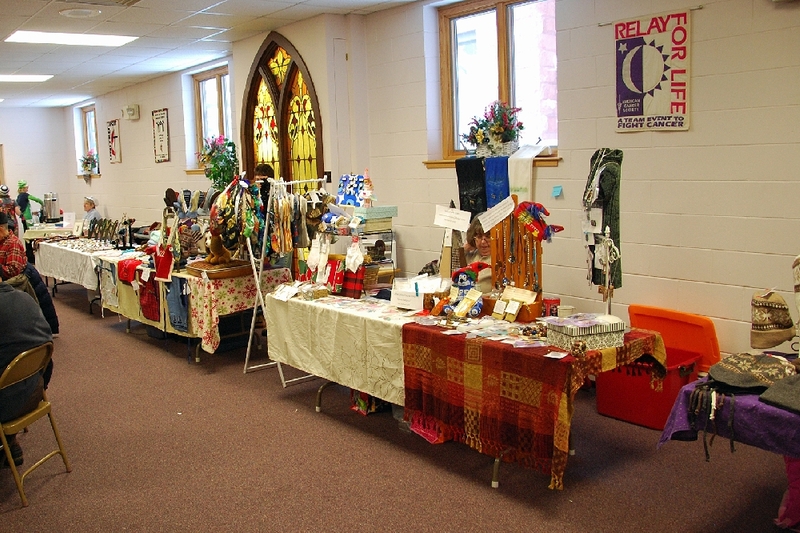 Tori-2, put on at the nearby Hancock Methodist Church, on two levels, including more music and eating opportunities, and more displays and stands. 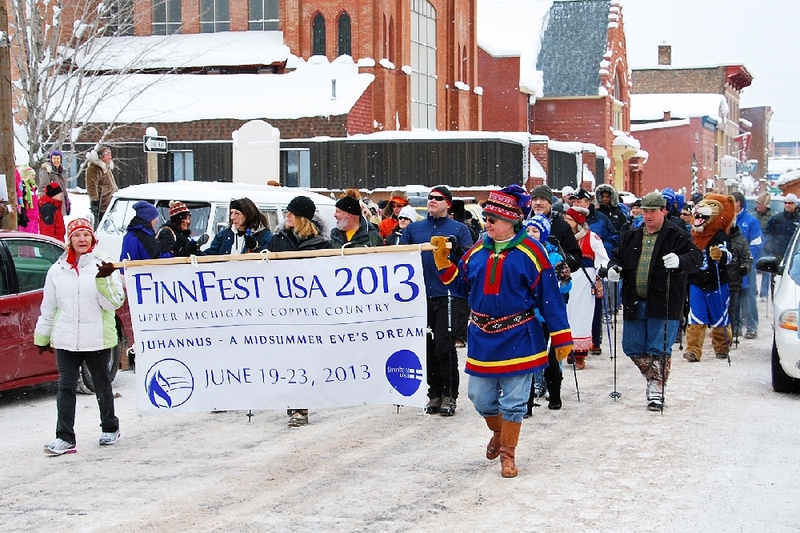 Join us next year for Heikinpaiva, and for FinnFest 2013 USA this June, in Hancock.